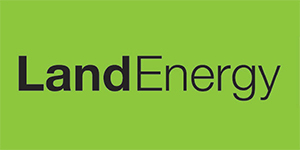 When you are relying on your biomass boiler to produce a constant level of heat day in and day out for your business, it’s important to remember that it can only do this with a constant supply of wood pellets. A ‘constant’ supply doesn’t just refer to the need for pellets to be flowing through the boiler at the right flow rate but the quality of the pellets also needs to be consistent. 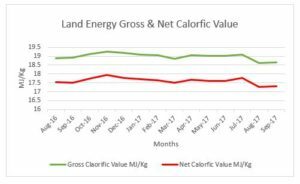 That is the same calorific value, moisture content and ash content to name a few. 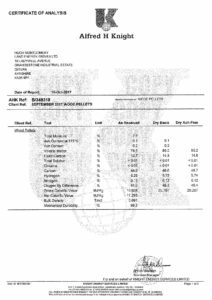 A consistent quality of wood pellets will ensure that your boiler will run at its most efficient and you won’t have to moderate the settings to take account of varying levels of calorific value or moisture content. 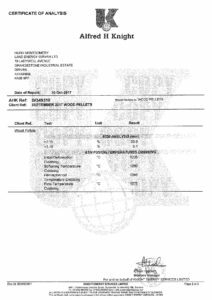 The ENPlus A1 standard not only sets calorific value for wood pellets but also the ash and moisture content levels. 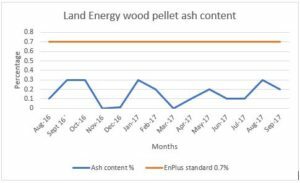 The graph below shows how Woodlets perform month on month with regard to ash content, in fact, our average ash content is 0.15%, again outperforming the standard consistently. From the above graphs and the full quality report (September ’17) below you can see that Woodlets perform as they should time and again.